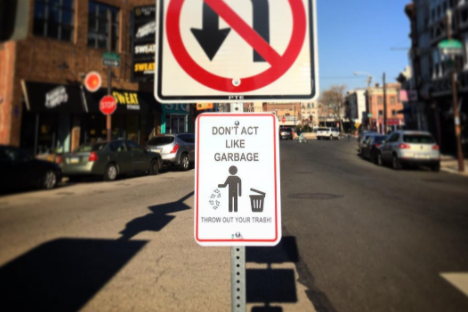 Street artist Kid Hazo has partnered with the Queen Village Neighbors Association to create and install functional artistic street signs in the neighborhood. Philadelphia street artist Kid Hazo has partnered with the Queen Village Neighbors Association to create a sprinkling of positive and humorous street art with a purpose. The art installation, some of which is featured below, is being made possible through grants from the Queen Village Community Grant Program and HAHA x Paradigm. More pieces are expected to pop up throughout 2017.